40-30 R & D department studies and develops tools, methods and strategies for innovative maintenance. R&D team’s engineers and doctors activity cover all the services offered by 40-30: maintenance, engineering, skill transfer, sourcing, information system. The multidisciplinary approach, the knowledge of field realities, new technologies awareness, historical proximity to academic research are assets that allow our specialists to develop new and appropriate solutions. Development of new tools (measuring benches, software, methodologies…). Development of new forms of service (on-line services, capitalization / transfer of know-how…). Technology transfer to new markets. Committed into open innovation strategy, 40-30 participates in research platforms and collaborative projects at regional, national and international scale. Approved as “Crédit Impôt Recherche” partner, 40-30 also assists clients in their own R&D projects to develop innovative solutions for their specific needs. 40-30 initiates studies to prepare for tomorrow’s technological challenges. 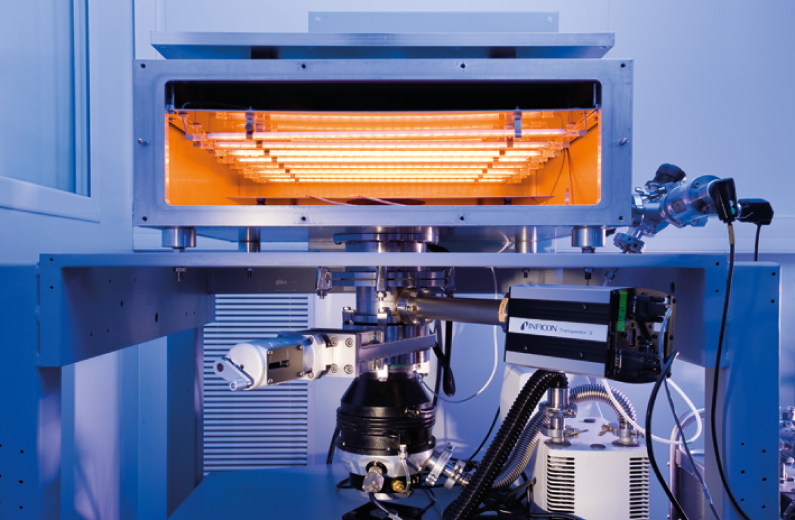 Using in-situ plasma for reconditioning process chambers in nanotechnology industry. Study of the management of intervention data and human-machine interface for maintenance tasks. Study of degassing phenomena and performance characterization of materials with respect to low pressure or vacuum. Study of cognitive effects (comprehension, memorize, …) of different formats of multimedia procedure (text, pictures, video, 3D animation …) and their influence on the compliance of technical operations. 40-30 is involved in projects alongside researchers from French and European companies focusing on major themes for industry and societal challenges. Early warning system detecting Listeria on surfaces for the food industry. Wearable head-up display using micro-OLED screens.